I don’t think I’m going to be posting a full article today. I don’t think the next one will be very business related either. I’m afraid it might come off as more a rant. Over the last few weeks I’ve been thinking about the government, humanity and the state of the world today. I can’t help but get frustrated. We’re all working parts of a system that propagates the status quo without doing anything to make it better. It’s almost like we’ve been brainwashed into apathy by our televisions, radios, computers and phones. Now, when we see something happening like a fire or a purse snatching we’re more apt to tweet about it than we are to do something constructive like help. Even our jobs aren’t constructive. We live in an economy built upon serving each other rather than producing useful goods and items. We expect our grand government to do something about it, to fix it. But what are they really going to do? Nothing. An honest, hardworking person can no longer survive in the political system that we’re so proud of. Instead they are an indentured servant to lobbyists for the money that they need to maintain their status. They have to compromise away anything substantial in order to win agreement to do anything at all. And we stand aside, a voting electorate that doesn’t even pay attention to democracy until it’s time to vote again. Then, we all go out and research what they say they will do instead of analyzing the real impact of what they have actually done. We live in country where the people who earn the most money are those who can think up the coolest new gadgets and market them successfully. All while the teachers who are responsible for the education of the next generation are struggling to make ends meet and having money pulled back from them by the government officials who claim to be broke but spends millions of dollars every year on advertising and promotion just to get back to the office where they say their hands are tied because they have no money. Then we have the parents who want to blame the teachers for not raising their kids appropriately. Parents who have abdicated the responsibility to raise their children to become strong, productive members of society. Why? So that they can live in the life of happy apathy that has come to represent the American dream in the 21st century. Am I mad? Yes I’m mad. I’m even madder because of how hopeless it all feels sometimes. We have no way to funnel the good people who care in to productive opportunities to make a difference. As a result they gradually give in to the same apathy that infects the rest of us and live an unfulfilled life. Does it have to be like this? No, it doesn’t have to. But it’s going to take sacrifice. Millions of Americans look back at Martin Luther King Jr. with respect and admiration. But how many of the millions are willing to pick up their cross and walk with it every day, just like he did, in order to make a difference in the world today? That’s what it will take. Not one person, but a tidal wave of people who are willing to sacrifice to change the way that things are done and make a difference. 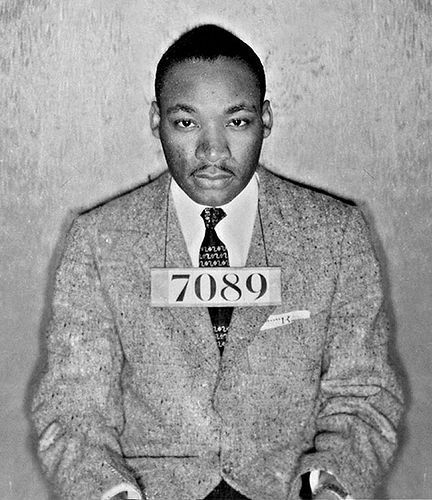 Posted on February 12, 2011, in Real Life and tagged Apathy, Martin Luther King, United States. Bookmark the permalink. 4 Comments. What an astounding way to put feelings into words Jonathan! Once I figured out the public school system and, realizing private tuition wasn’t an option, I decided to home school. As for the economy and government, we felt the backlash when my husband gave his two week’s notice for a steady job. The new job is lot less paycheck but a lot more opportunity. Opportunity to move up, branch out, and maybe even retire. The old job threatened to fire him on the spot. A hardworking, dedicated man who was always on call, missed only 4 days in 10 years, (one day each for the birth of our girls) and never took a vacation had his hours cut, his vacation tossed, and then humiliated when they made it seem like HE owed THEM something! Even when the girls were born, he just stayed overnight one time. He wasn’t even there to bring us home. It’s such a shame but I’ve taken up writing again myself (not publicly) just to vent emotions and frustrations! You do such a great job with these blog postings. I hope you keep it up! Thanks for responding Leora. I’m sorry to hear about your husband. That’s a terrible situation. I’m glad to hear that you’ve taken up writing. It’s hard to stay disciplined, but in the end it’s worth it. Leora, your husband didn’t happen to work for Winn Dixie did he? That sounded awful familar to me. Jonathan, you hit the nail on the head. Money makes everything goes around right now. I hate to say it but capitalism is part of the problem. No one will do anything if they don’t see any money in it. The only organization that is willing to spend money and get absolutely nothing in return is the goverment. And unfortunately, that is going to cost us in the long run. And you are right. It is going to take sacrifice to fix things. Unfortunately, it may already be too late to fix somethings. I heard that if every American was taxed 100% of their income, it still wouldn’t wipe out the US budget deficit. That’s bad. The US is borrowing money that it can’t pay back. When these loans come due, we could really be in big trouble. And yet TV stations are spending record amounts to broadcast football games. And candidates for goverment office are spending millions on their campaigns. It is going to bite us–the American public–one day. I’m sure of that! I’m glad to hear I’m not the only one who sees something wrong. I get annoyed by the blustering of the right wing, but don’t like what the left wing has to say either. The both wings are a part of the problem. I think I’m going to take some time and flesh some of these thoughts out.